Rashid Khan exploded on the music scene before he was 25, and became a rage with Hindustani music lovers all over the world. By the time he was 30, Bhimsen Joshi, the reigning monarch of khayal vocalism, had hailed him as the "Great Hope" of Hindustani music. Rashid (b. 1966), until age 11, was trained at his ancestral home in Badayun (Northern Province) by his grand uncle, Ustad Nisar Hussain Khan (1909-93) of the Rampur-Sahaswan Gharana (stylistic tradition). When Nisar Hussain moved to Calcutta as a resident Guru at the Sangeet Research Academy (SRA), India's first conservatory-style institution, young Rashid Khan moved with him. Rashid spent over twenty years at the academy, first as a scholar, and then as a resident musician. 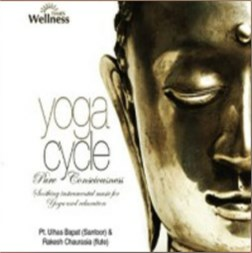 The result is a vocalist who has allowed his own musical temperament to identify and integrate the basics of his grooming with stylistic features inspired by other Gharanas, mainly Kirana. In this respect, Rashid follows an illustrious string of vocalists who have crossed Gharana boundaries in search of personal meaning. 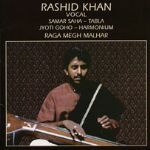 By the time of this 1995 recording, Rashid Khan had already forged the various stylistic influences on his music into a convincing musical presence. If a vocalist can get this far before he is thirty, we know that his best is still to come. Since Rashid's first public performance in 1977, he has appeared at many of the great Indian music conferences, including the ITC Sangeet Sammelan, Sawai Gandharva Sammelan, Tansen Sangeet Sammelan and has toured widely, including performances in the U.S. and Canada, the U.K., France, Italy and Japan. 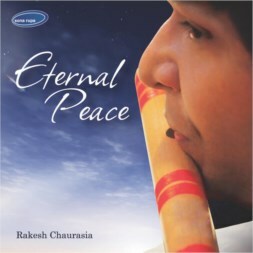 Rashid Khan is a popular recording artist and has innumerable CDs recorded and available worldwide. Samar Saha accompanies on the tabla.